Andorra is a tiny country between Spain and France, with an area of 467.6 km2 and with a population of 70 000 people. Andorra is the 6th smallest country in the world with a very developed economy and high standard of living. Andorra is not the member of EU and Schengen area, but it is a member of EU customs union and its official currency is EURO. The official language is Catalan, but Spanish and Portuguese are widely spoken. 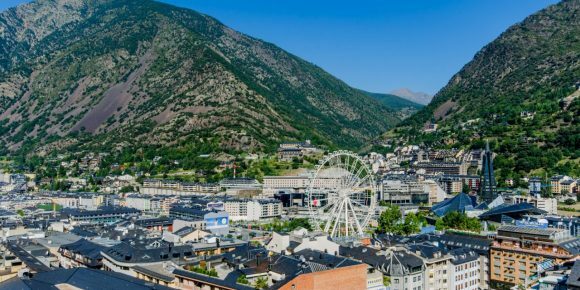 The tourism industry of this tiny country is extremely well developed, and it’s estimated that over 10 million tourists visit Andorra every year. This country makes a perfect residency spot for high net worth individuals since it offers a favorable tax regime. There is no wealth tax, no capital gains, and income tax, no estate duty and no tax on dividends. Even though there is no direct citizenship by investment program in Andorra, you can invest in order to gain residency. That path can lead to obtaining citizenship after a long period of time (20 years). Moreover, dual citizenship is not recognized in Andorra and you will be required to renounce your first citizenship/passport before getting Andorran passport. It’s easy to spot that obtaining citizenship in Andorra is not the reason why foreign investors choose this country. As we already mentioned, Andorra has an incredibly favorable tax regime and that’s the main reason why many seek for residence in this country. Minimum investment required is 400 000 EUR. This can be in either real estate, financial investment or shareholding in an Andorran company. Investor needs to prove that they are able to fund lifestyle in Andorra via proof of income. The applicant is obliged to deposit 50 000 EUR plus 10 000 EUR per dependent held by Andorran Government. Applicant needs to prove that they are able to fund lifestyle in Andorra via proof of income. The applicant is obliged to deposit 50 000 EUR plus 10 000 EUR per dependent held by Andorran Government. Applicant needs to reside at least 90 days per year in the country. Besides passive residency, there are also options for active residency in Andorra. In this case, you would need to spend at least 183 days per year in the country. Active residents need to use Andorra as their home base, or primary place of residence. We are going to focus on self-employed people looking to obtain active residency in Andorra. For those who own their own company, the active residency program is known as “residència i treball per compte propi”. That is residency and self-employment. Apostilled documents, no older than three months: birth certificate or passport copy, police certificate of the country of origin, police certificate of the country of current residence (if it’s different from the country of origin), marriage certificate (if married). If you are looking to obtain active residence under compte propi you must own at least 11% of a local company and must be a working director of that company. It is possible to own 100% of the local company, as a foreigner. Dependent family members cannot become residents until the company shareholder has been a resident for 12 months. Family members of the main applicant are able to stay as tourists in the country for a maximum of 90 days. Active residency in Andorra through self-employment requires you to pay for social security program known as CASS. This is obligatory. For a typical employee in the country, social security rate is 22% (17% paid by the employer, 5% paid by the employee), however self-employed individuals must pay a fixed rate. Full fix rate payment is 453 EUR a month. New companies only pay half in the first 12 months, 226 EUR per month. Companies with less than 12 000 EUR in profit and 150 000 EUR in turnover in the last financial year may apply for a 50% concession which is 226 EUR per month. Keep in mind that the healthcare system in Andorra covers up to 90% of your hospital bill and 75% of other medical expenses for you and your dependents. Any work-related injury and childbirth is 100% covered. If you are willing to relocate to Andorra permanently, set up your company there and bring your family with you this is an amazing opportunity. As we already mentioned multiple times Andorra is truly a tax heaven which attracts many wealthy individuals each year. Both personal and corporate tax can only go up to 10%. 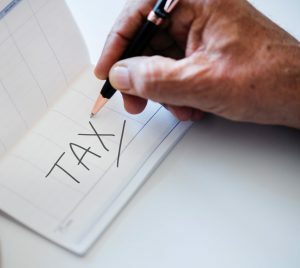 Corporate tax can be reduced to 2% in some cases, such as holding companies investing in foreign companies (such as those owning property and intellectual property). There is no tax under the line of 24 000 EUR per year. 24 000 – 40 000 EUR per year is taxed at 5%, and 40 000 EUR + per year is taxed 10%. VAT is only 4,5% which makes Andorra a perfect place for shopping. Literary, artistic or scientific prizes. The nominal rate of Capital gains tax in Andorra is 10%, however, there are some exceptions. If you own less than 25% of the share capital in an entity, you are not liable for capital gains tax. This is especially interesting for traders of publicly listed companies (options, commodities and other investments are not covered by this exemption). Any asset held for more than 10 years is exempt from capital gains tax. Capital gains tax in Andorra applies to investments worldwide. Where tax at or above the Andorran rate of 10% has already been paid on this investment abroad, it is not chargeable locally under the double-taxation law. Please note that capital gains tax on real estate in Andorra is different. Real estate in Andorra is not subject to inheritance or transfer taxes, however, owners are liable for both purchase taxes and capital gains tax on sales before 13 years of ownership. If you are looking to sell property then you should know that Andorran property has a capital gains tax between 0% and 15%, how much you pay depends on how long the property was held. If you held it for one year you pay 15%, if you held it for 13 years or longer then you don’t pay any capital gain tax when selling. As you can see in Andorra you will be treated to some of the lowest tax rates in the modern developed world.